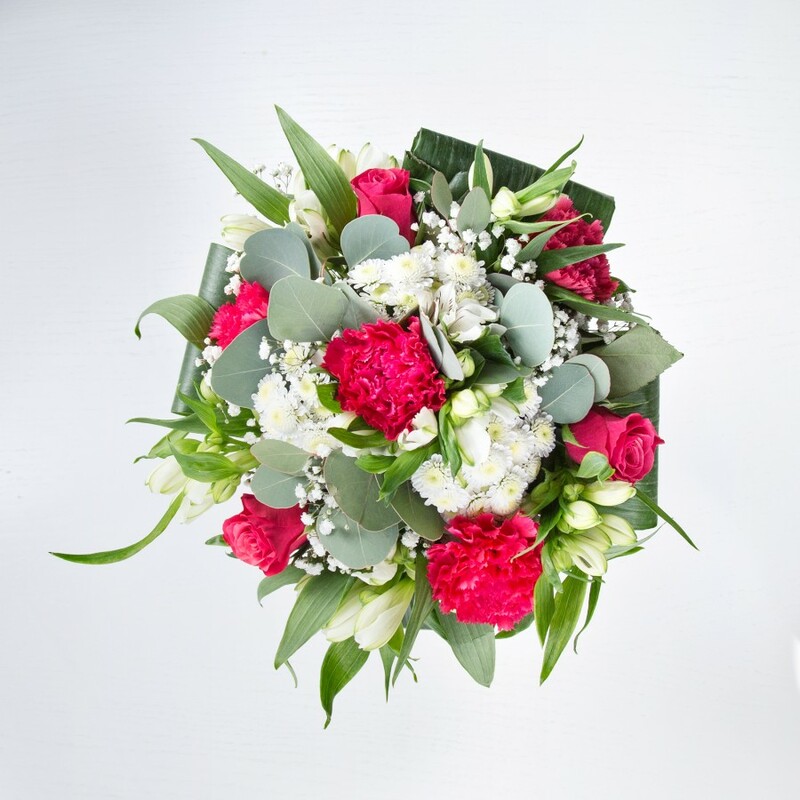 This bouquet will provoke your sense of creativity and imagination. 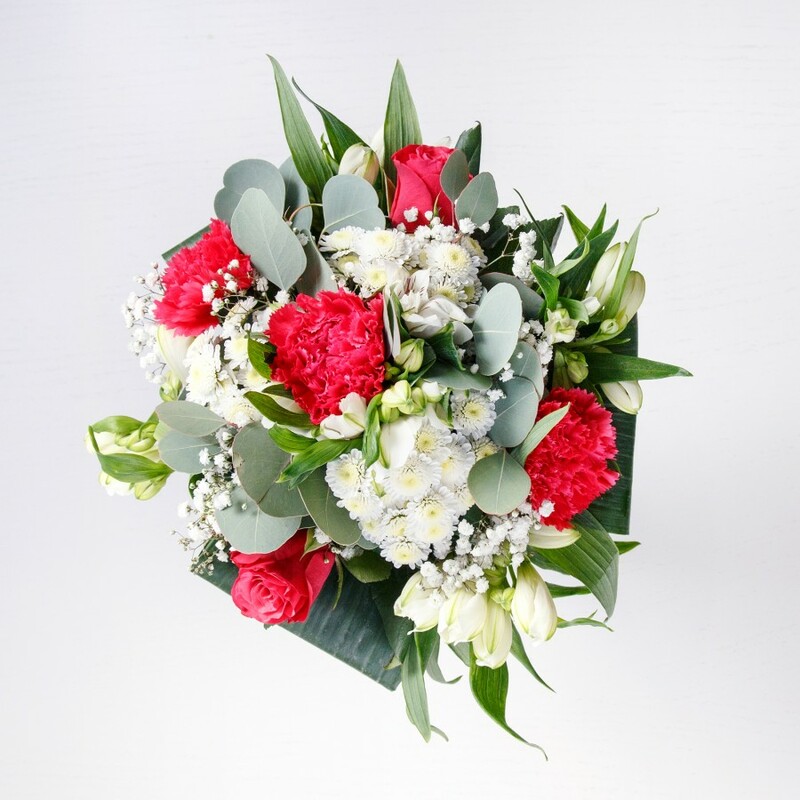 Featuring sweet white chrysanthemum and gypsophila, luxurious red roses and carnations, delicately arranged with white alstroemeria and aspidistra leaves. Original size bouquet pictured. 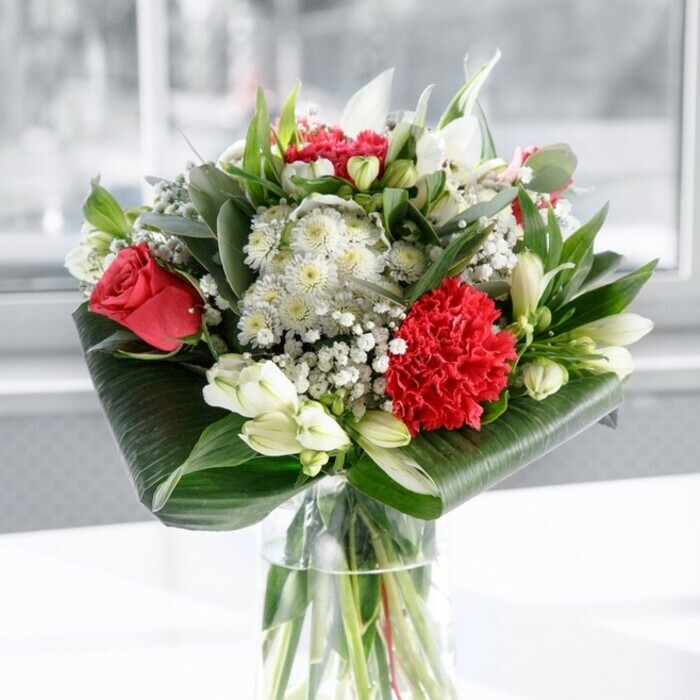 Original Bouquet contains 13 stems. The flowers were delivered to London safely. Big thank you for the reliable service. No worries at all. Ordered this bouquet for my beautiful wife and she really liked it! Her exact words were: "That is the sweetest bouquet I've ever seen!" My mum liked the bouquet I ordered for her very much. Imagination looked just like the pictures and the flowers were all crisp and bright coloured. 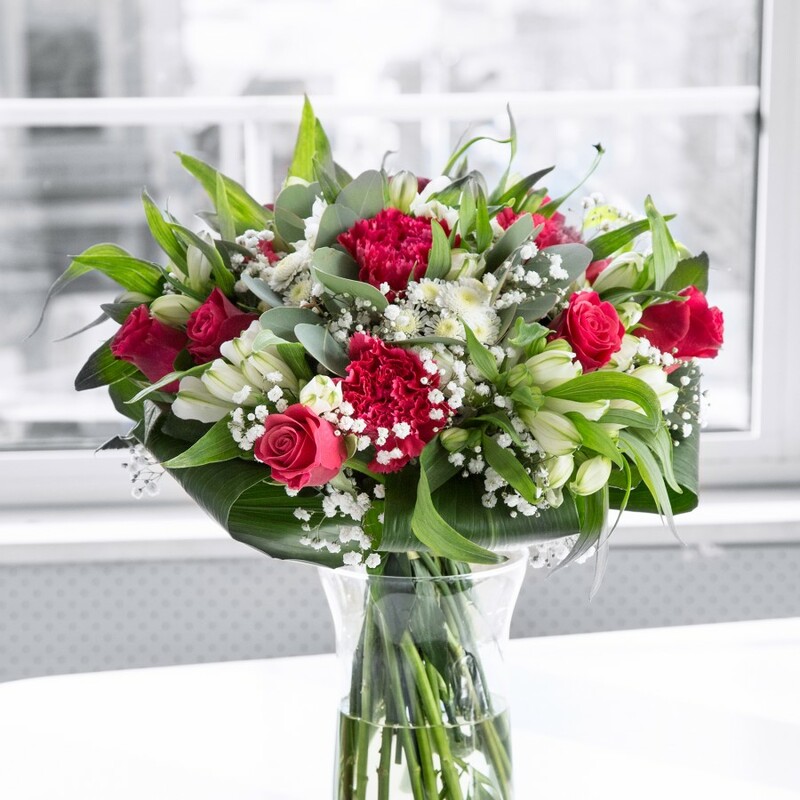 Cheap flower delivery, very quick too. The flowers were everything I expected and more. Creative combination and great colours. Service I received was speedy, efficient and completely hassle-free. Exactly what you need when ordering online. Thank you Handy Flowers you helped make my proposal to my girlfriend even more romantic! 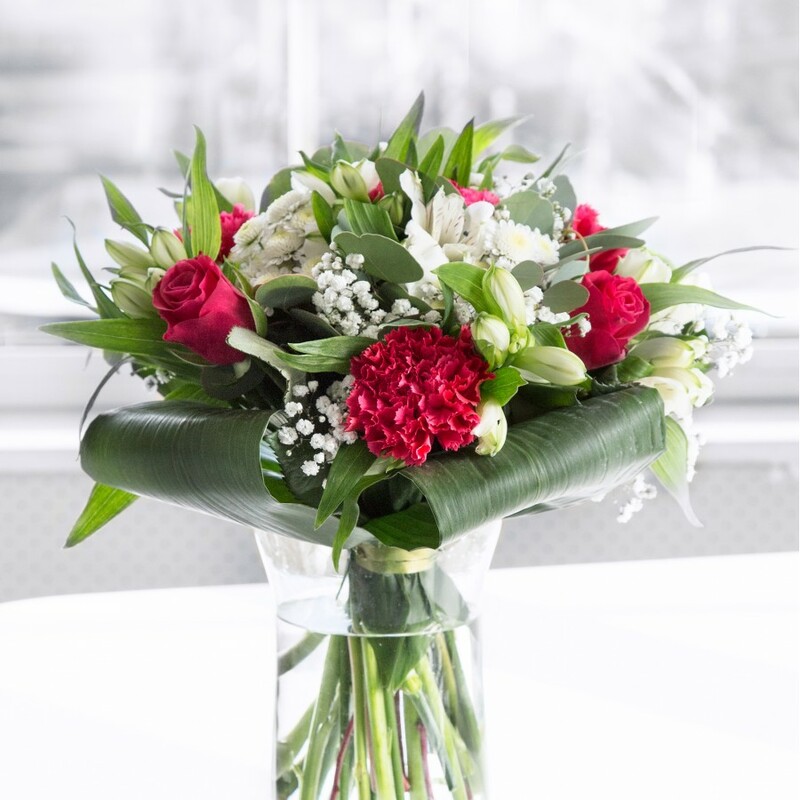 Some really lovely flowers at great prices – really impressive and will use again. 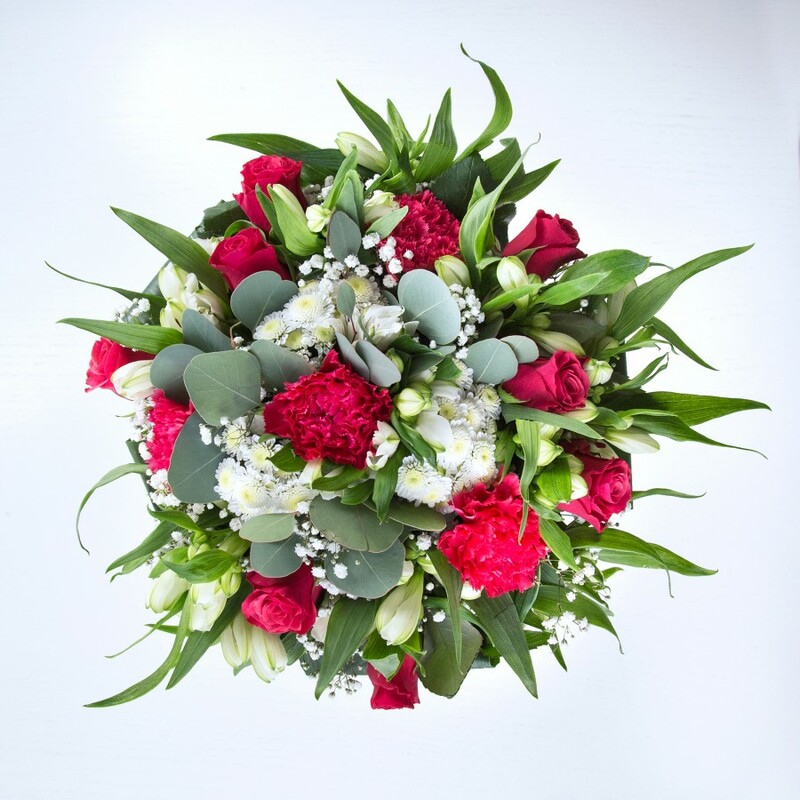 Ordered this as birthday flowers for a friend and she was delighted with them. She was most impressed that they lasted over a fortnight too.